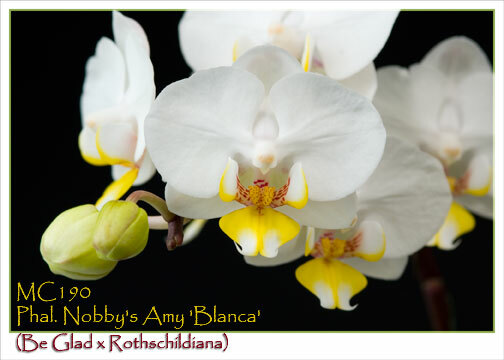 A new color variation of the always popular Phal. 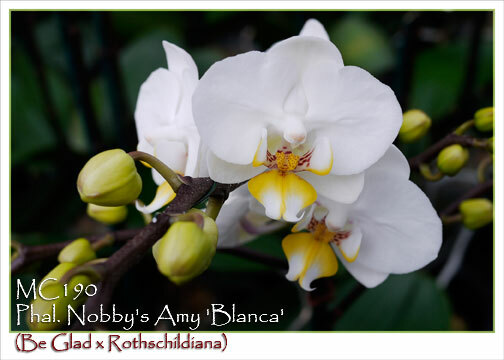 Nobby's Amy, this clone is its pure alba form. 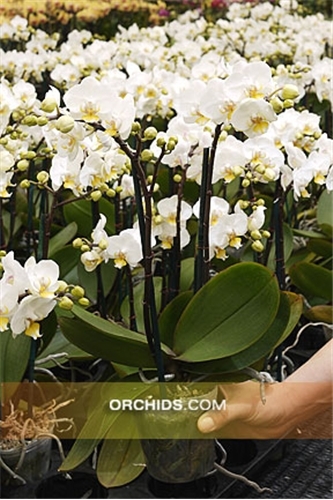 Exhibiting the same branching multi-floral miniature flowering habit as its more familiar cousins, 'Blanca' produces pure white flowers accented with a bold broad golden yellow lip. Nothing can be more rewarding than this miniature version of today's larger-flowered classic whites. Especially recommended for small space growing.